As we wait (patiently) to learn whether the Supreme Court will uphold or strike down the Affordable Care Act (ACA), in part or in its entirety, let's ponder the fate of Medicaid as the funder for long term services and supports (LTSS). After all, the survival of the ACA will mean an dramatic expansion of the Medicaid program, and although it promises to pay for 100% of the cost of expansion (or nearly so) for the first several years, state Medicaid directors around the nation lose sleep at the prospect that the federal government will retreat from this commitment. 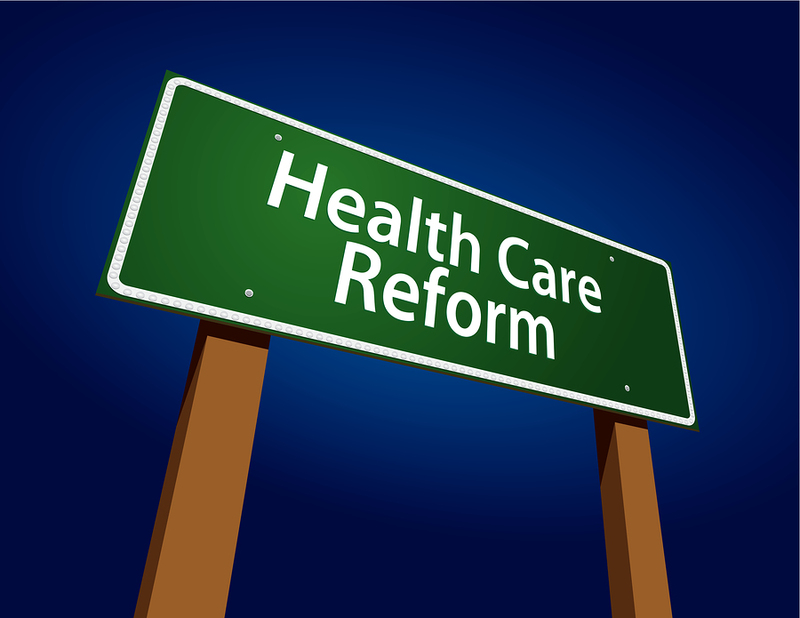 The need for improving the coordination of care of acute and long term services and supports (especially for Medicare-Medicaid enrollees) in order to reduce the cost of care is apparent, but a total defeat of the ACA would inhibit recent initiatives to accomplish these goals. Also, the demographic pressures (i.e. baby boomers) that will soon overwhelm Medicaid will not lessen with the demise of the ACA. So where do we go from here? Here are some thoughts on the subject and some are those of others who I recently heard while in the nation's capital. Although the ACA mandated Medicare-Medicaid Coordination Office is trying to rebalance how monies are spent by shifting care delivery from institutional to home-based care and the new Administration on Community Living is trying to coordinate home based care initiative, the burden on cost reduction and care coordination is falling primarily on Medicaid alone (i.e. the states). Federal agencies and programs which are critical for success of shifting care to a home-based model are (for the most part) absent. This leaves the states as the sole stakeholders and although they are considered to be laboratories for change, the challenge is that some have great capacities to meet this challenge (e.g. Vermont and California) then others. Beginning next year, 26 states will be enrolling their elderly and disabled Medicare participants into managed care plans. Although these two groups represent only 30% of enrollees, they represent 80% of expenses and that reality is a powerful inducement to move these populations from the traditional (and expensive) fee-for-service model. Managed care, however, has yet to be successfully implemented on a large scale for these populations and only time will tell how successful these initiatives will be at reducing costs and maintaining quality.Moreover, the Maintenance of Effort provisions in the ACA effectively prevents states from reducing Medicaid eligibility, leaving them with only reducing provider payments or benefits as options to control ballooning Medicaid costs. Since 2012 is a presidential election year, no federal legislation is possible, but wait for the fireworks to fly in 2013. Medicaid (unlike Medicare) has no powerful constituency advocating on its behalf (it is largely seen as a program solely for low income people) and with federal deficits looming (and revenue enhancement off the table) the pressure to cut this entitlement program will be tremendous. TREMENDOUS! Proposals based upon the Clinton era Per Capita Cap plan and the more recent Republican Block Grant plan will be worthy of following on Google Trends during the upcoming year. There seems to be little appetite among the players (consumer advocates, trade associations, legislators, governors, etc.) for a radical redesign of the current financing structure for long term care services and supports. Even though the Medicare and Medicaid programs were designed almost 50 years ago, based upon a care delivery system and consumer expectations which no longer exist, there is simply not much talk about dramatic change. The hyper-partisan battleground of contemporary American politics alters perceptions and, in the eyes of some, transforms the most milquetoast critiques into vicious attacks on policies and process. Dear reader, that is not my intention and I hope no one takes offense at what I wrote here. I am interested in your thoughts, so please comment. The rules referred to as the "Medicaid mandates" have not attracted as much attention as the mandate forcing individuals to buy government-approved health insurance. What few people know is that the Medicaid mandates are, if anything, even more constitutionally dubious than the individual mandate. Our constitution divides power between the federal government and the states, just as it divides power among the three branches of the federal government. For split sovereignty to work, both the states and the feds must be able to make independent decisions within their respective spheres. The ACA attempts to crack the constitution by directing and empowering administrators in the U.S. Department of Health and Human Services (HHS) to effectively bankrupt any state that makes Medicaid decisions different from those approved by the federal government. First, the ACA imposes costly new requirements on states for Medicaid spending, overriding any state choice to the contrary. The federal government has promised to pick up some of the tab, but given the disastrous federal financial situation, it is unclear how or whether this will happen. Whether or not it does, the feds will be unloading huge new expenses onto state taxpayers. Second, if a state does not comply with federal instructions to the letter, the ACA gives HHS virtually unrestrained authority to stop any and all Medicaid funds to that state. Medicaid is not some minor state-federal program. It is the largest item in most states' budgets (http://bit.ly/I5eTc9 ). You are more certain about the unconstitutionality of the ACA then I am at this point. I respect your opinion, but suggest the Doug Kendall, Founder of the Constitutional Accountability Center may be correct when he recently wrote: "The Supreme Court...has generally interpreted the Spending Clause according to its broad terms, ruling in the leading case in this area, South Dakota v. Dole (1987), that "Congress may attach conditions on the receipt of federal funds, and has repeatedly employed the power 'to further broad policy objectives by conditioning the receipt of federal moneys upon compliance with federal statutory and administrative directives.'" Of course, reasonable minds may differ and by mid-morning we may learn that the Court will take the opportunity of deciding the constitutionality of the Affordable Care Act to make important new law on the ability of Congress to rely on the Spending Clause. You may find the CBO analysis of the budgetary impact of the ACA interesting.